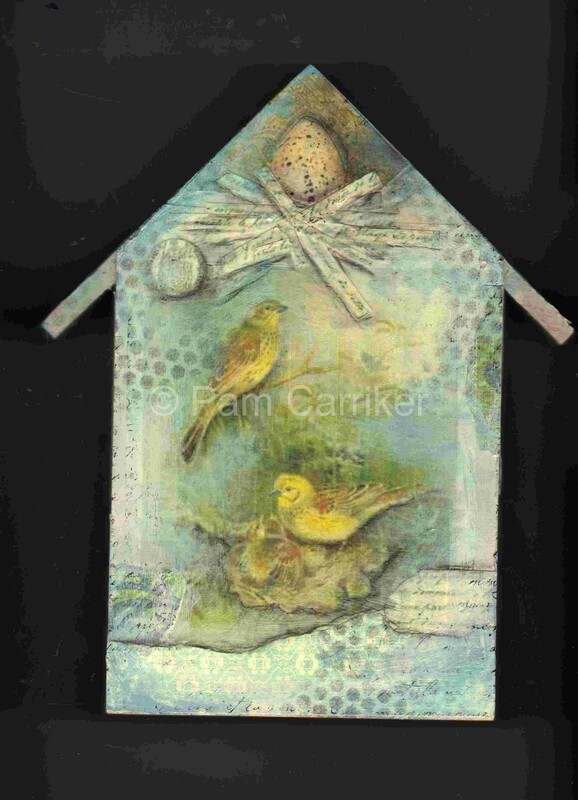 Here are a few more spring inspired collages I just posted on etsy. 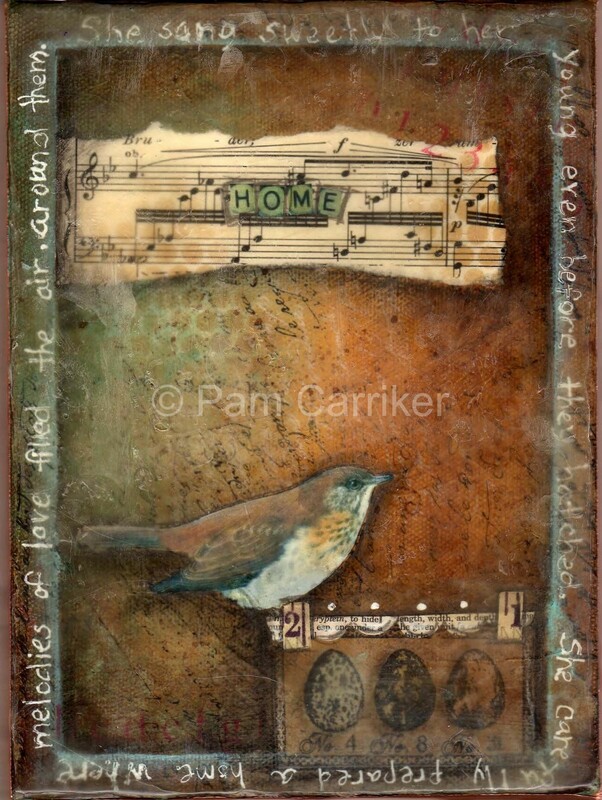 I just loved this little sparrow image, and had to use him a few more times. 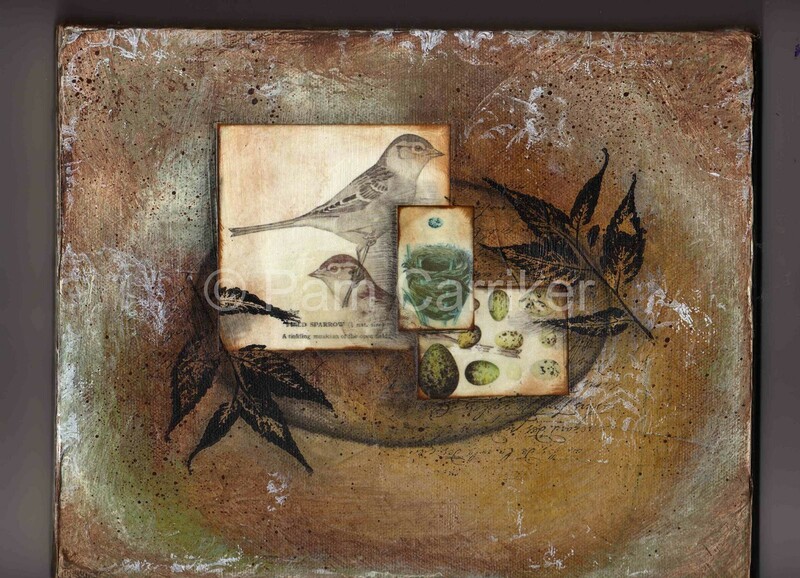 Each piece in this series of three, has one image and one transfer of this sweet little bird. 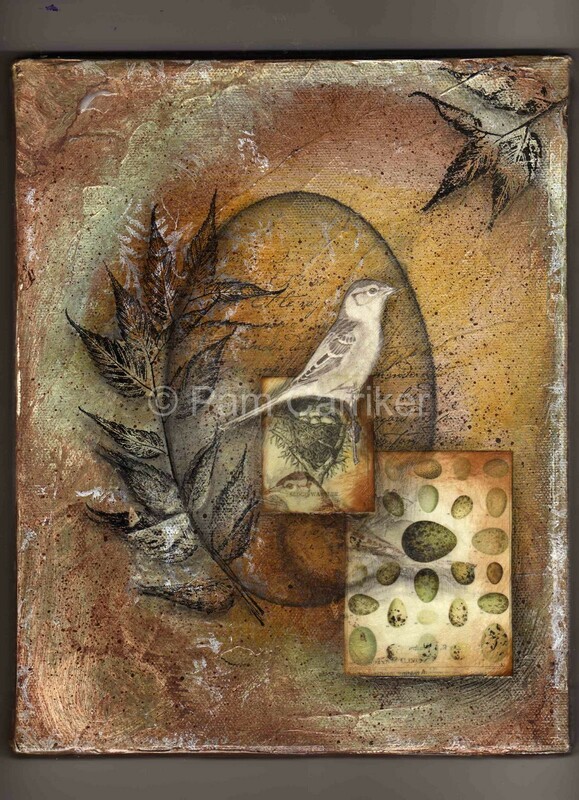 I love eggs, nests, and nature inspired art. I have hung these in an arrangement on my wall to photograph them and they look so pretty. How come I don’t have hardly any of my art hanging in my own home???? I need to work on this. It seems like I am so busy working on things to sell, or send in for publishing, or gifts for people, that I don’t just make things for our home. Oh well, for now I will enjoy them for a bit! Happy Easter Everyone! 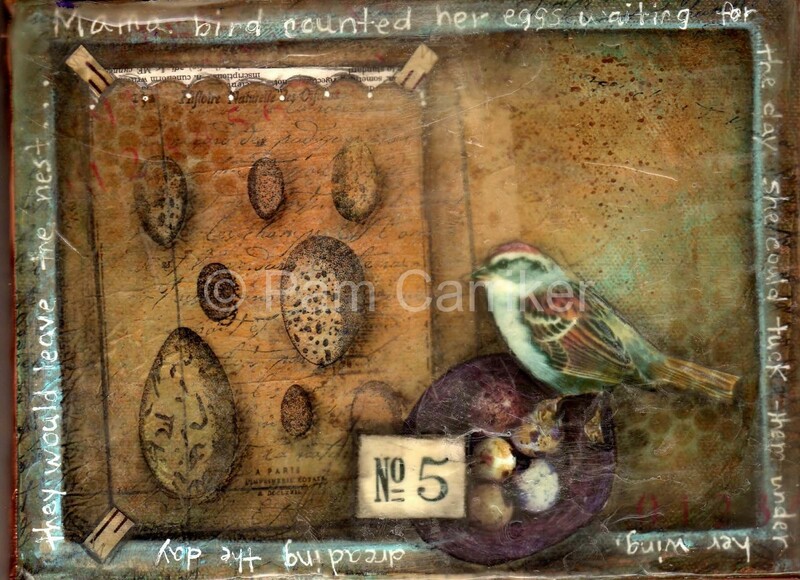 I Love the Smell of Beeswax In the Spring! I love springtime! It makes me think about gardens, birds, and spring cleaning. Ok, not ALL things about spring are great, but most of them are! 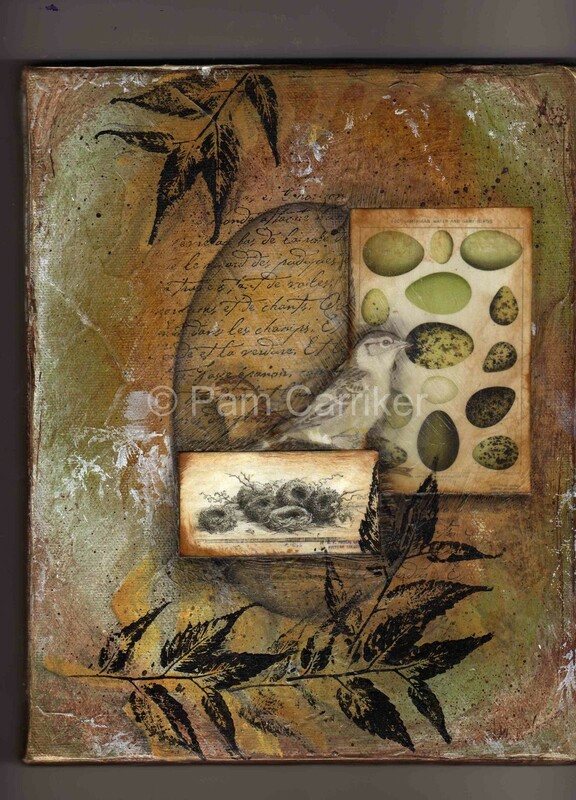 I created these beeswax collages with spring on the brain. A lot of people ask me about beeswax so I thought I’d share some of it’s secrets to help de-mystify it. I use a little melting pot to heat the wax in. Usually to about 185 degrees. You can use a candy thermometer to check on the temp if you don’t have a temperature controlled heating device. The smell of melted beeswax is heavenly! I keep a designated brush in the pot and just store the wax in there. Mine has a lid to keep out impurities. When you brush the wax on you are only applying it to the surface. The finished look/smoothness is achieved with a quilting iron and or heat gun. You can melt crayons into your work to add color. And my favorite thing to do is to add stamped images by stamping onto dressmakers tissue with Staz On ink. The tissue becomes transparent and the stamped image is very sharp. Spending time on the background gives wonderful results. The depth is amazing and the scans don’t do it justice! I made prints from these also and they turned out great, I am very pleased. I have never taken a class in this method, it was all learned by trial and error, and what information I could glean from the net. I figured it had to be easier than waxing your legs-LOL!